Teens who struggle to master a skill may conclude they're complete failures. A teen who has difficulty with math may decide she’s not smart. Or a teen who fails to make the soccer team may decide she’ll never be good at sports. Rather than praise your teen for getting a good grade on an exam, praise her for all the studying did. Instead of saying, "Great job getting 5 points in the game," say, "All that practicing you've been doing has been paying off." Your teen can control her effort but she can't always control the outcome. And, you don't want her to think she is only worthy of praise when she succeeds. Show her that it's important to try hard and it's OK if she doesn't succeed all the time. Teens need to know how to speak up for themselves in an appropriate manner. An assertive teen will be able to ask for help when he doesn’t understand his school work, rather than allow himself to fall behind. A teen who can speak up for himself is also less likely to be treated poorly by his peers. He'll speak up for himself when he doesn't like how he's being treated and he'll be able to ask for what he needs in a direct manner. 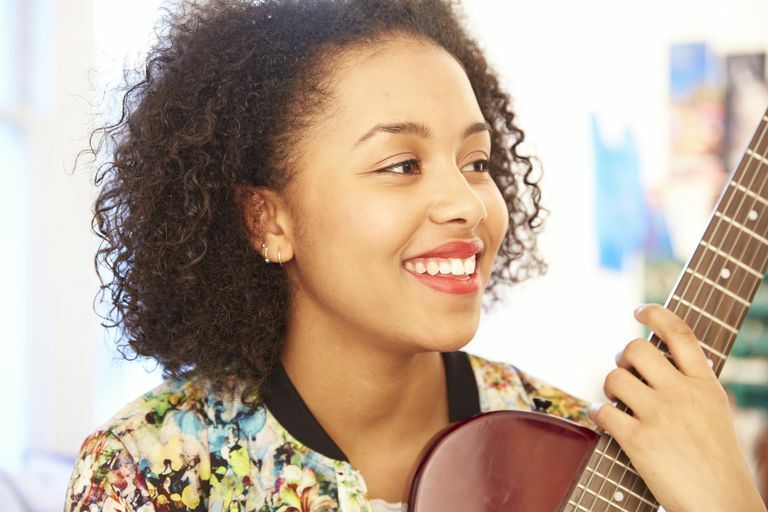 Trying new activities, discovering hidden talents, and challenging himself to become can help grow a teen’s confidence. But, many teens are afraid of failure and don’t want to embarrass themselves. Encourage your teen to join a new club, play a musical instrument, engage in volunteer work, or find a part-time job. Mastering new skills will help him feel better about himself. Your teen will learn the most about confidence based on what you do—not what you say. If you’re guilty of making critical statements about your body or your abilities, you’ll teach your child to do the same. Role model how to face new situations with courage and confidence and demonstrate the importance of loving yourself. Talk to your teen about times when you've been brave or things you've done in your life to help build your confidence. If your teen only feels good about herself when she gets a certain amount of likes on social media or when she fits into a certain size pair of pants, she'll struggle to maintain confidence when situations don't suit her needs. Basing self-worth on superficial things, external circumstances, or other people leads to a lack of confidence in the long-run. Help your teen build a healthy and stable foundation for her self-worth. Emphasize your values and teach her that true self-worth is about living according to those values. For example, help her see that it’s more important to be kind and caring rather than thin or pretty. Micromanaging your teen’s choices will only reinforce to her that she can’t be trusted to make good decisions independently. It’s important to balance just the right amount of freedom with plenty of guidance. Provide your teen with plenty of opportunities to practice the skills you’ve taught her. Let her experience natural consequences and she’ll learn from her own mistakes. Over time, she’ll develop increased confidence in her ability to make healthy choices. Your teen’s inner monologue will play a major role in how she feels about herself. If she’s always thinking things like, “I’m so ugly,” or “No one likes me,” she’s bound to feel bad about herself. HealthyChildren.org: Helping Your Child Build a Healthy Sense of Self-Esteem. HealthyChildren.org: Ways to Build Your Teen's Self-Esteem. Valkenburg PM, Koutamanis M, Vossen HG. The concurrent and longitudinal relationships between adolescents use of social network sites and their social self-esteem. Computers in Human Behavior. 2017;76:35-41.